The wait is finally over! 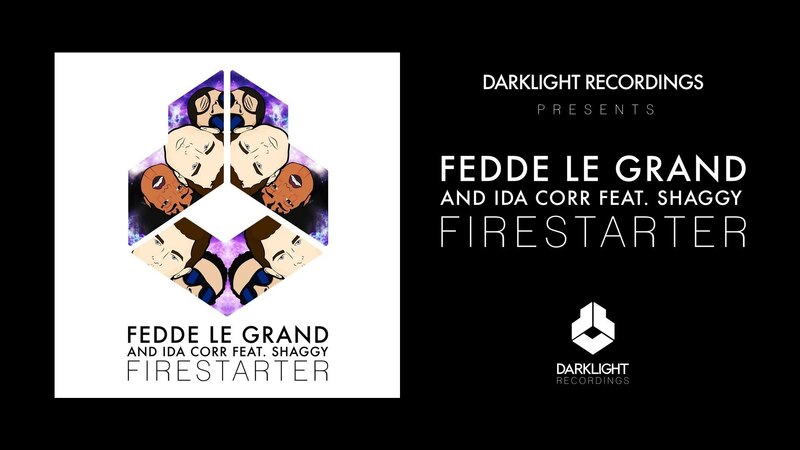 The 4th Fedde Le Grand release of 2017 reunites him with longtime collaborator Ida Corr, throw Shaggy in the mix and you have the recipe for straight up FIRE! Shaggy’s timeless flow and iconic tone neatly complements Ida’s fierce diva vocals, while both parts are underpinned by jacked-up horns and a dancehall beat courtesy of Le Grand. A blend of EDM, ragga and pop, this one will undoubtedly be getting the fire started on dance floors around the globe. Fedde decided to couple the Original Mix with a specifically for the Clubs designed alternative cut, which already got dubbed #2 night in the DMC Buzzchart. The track is supported by a comic book-style music video, storyboarded and directed by Dutch videographer Eauxby. Captain Darklight (Fedde Le Grand) uses his powers to stop Mother Nature (Ida Corr) from destroying the earth, but is overcome with her strength. Luckily, Diligitis, God Of Love (Shaggy), is there to save the day with his seductive ways. Tongue-in-cheek and also veering in the political, the video serves as the perfect accompaniment to this upbeat record.